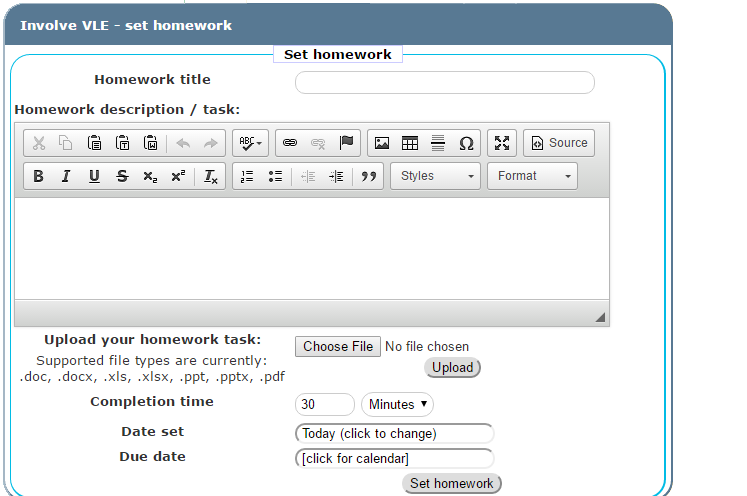 Using InvolveTM, students can securely access information, resources and homework from any device at school or home. Staff can simply update their class page, or upload homework, via our easy-to-use website. In addition, parents can be given access to view their children’s homework and documents such as reports and letters home. For a seamless experience, InvolveTM integrates fully with our other services such as Pupil Reward Points.